A professional preparation with strong rejuvenating and antioxidant action with a high content of low molecular weight (LMW) hyaluronic acid. It directly influences the inhibition of the wrinkle-formation process, improves skin firmness and pigmentation, and actively prevents the negative effects of solar radiation. With age, the amount of hyaluronic acid in the skin gradually decreases, which causes the degeneration of collagen fibres. As a result, the skin becomes dry, loose and wrinkles appear. 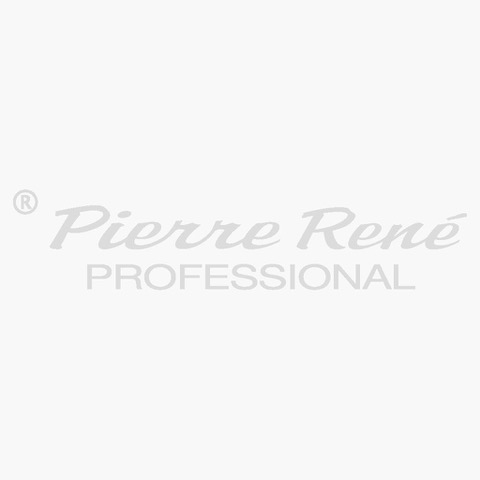 Pure hyaluronic acid closed in PIERRE RENE MEDIC ampoules is the main ingredient of the extracellular matrix; it is capable of binding large amounts of water and it is directly responsible for skin moisturisation levels. Hyaluronic acid intensively moisturises thanks to its double action - it rebuilds water resources and reduces transepidermal water loss. It excellently moisturises dry skin and helps to maintain its balance. Regular use of the preparation significantly reduces deep wrinkles and prevents the formation of new ones. Perfectly hydrated skin becomes smooth, firm and elastic. INDICATIONS: The preparation is intended for all types of skin, in particular dry, chapped, dehydrated skin with reduced firmness and elasticity, grey skin with signs of fatigue and first signs of ageing; it is also recommended for skin which requires immediate regeneration after sun tanning. 100% peptides elixir PIERRE RENE MEDIC, intended for immediate smoothing out of deeper wrinkles, is an excellent complement to the treatment. How to use: Open by breaking the thinnest part of the ampoule. After cleansing the skin, rub the preparation between your palms and apply over your face, neck and cleavage with your fingertips. The so-called film effect may occur after use; this can be easily eliminated by using cream from the same series, but not earlier than after approx. 5 minutes from the application of the ampoule. Ingredients: AQUA, PROPYLENE GLYCOL, SODIUM HYALURONATE, SODIUM ALGINATE, PHENOXYETHANOL, BENZOIC ACID, DEHYDROACETIC ACID, ETHYLHEXYLGLYCERIN.